Vatican City, Sep 13, 2017 / 09:00 am (CNA/EWTN News).- On Wendesday Pope Francis recalled his recent visit to Colombia, saying the desire for peace in the country is proof that the violence of their past doesn’t have the last word, but rather, the love and mercy of Christ. “Colombia, like most Latin American countries, is a country in which the Christian roots are strong,” the Pope said in his Sept. 13 general audience. “And if this fact makes the pain due to the tragedy of the war that has torn it apart even more acute, at the same time it constitutes the guarantee of peace, the solid foundation of it’s reconstruction, the lifeblood of it’s invincible hope,” he said. The Pope spoke to pilgrims present at his general audience, which took place just two days after he returned from his Sept. 6-11 visit to Colombia. 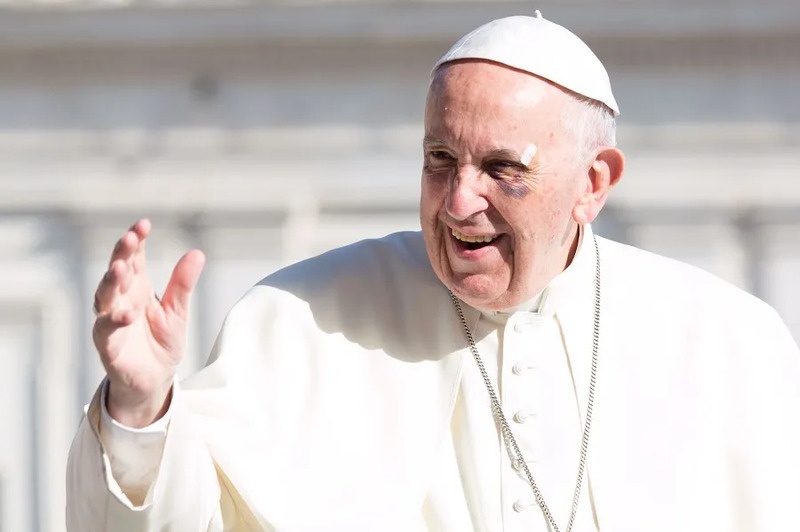 The visit, which marked Francis’ third tour of South America since his election in 2013, took him to a total of four cities, including Bogotá, Villavicencio, Medellín and Cartagena. Pointing to the theme of the trip, “Let us take the first step,” he said it refers to the process of reconciliation Colombia is going through after more than 50 years of conflict between the government and guerrilla and paramilitary groups. 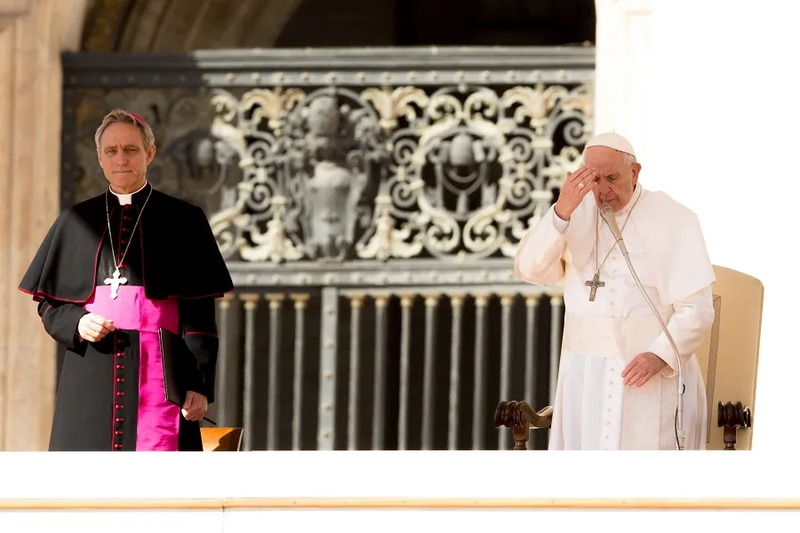 “This visit was intended to bring the blessing of Christ, the blessing of the Church, to the desire for life and peace which overflows from the heart of that nation,” he said. Francis then recounted the different stages of his visit to Colombia, recalling how in Bogotá he was able to see this desire in the eyes of the “thousands and thousands of children, teenagers and young people” who came to meet him at the Apostolic Nunciature, where he stayed during his visit. Then in Villavicencio, the day was dedicated to reconciliation, and included a large gathering for national reconciliation and a Mass in which the Pope beatified the two modern martyrs Bishop Jesús Emilio Jaramillo Monsalve and Fr. María Ramírez Ramos. Then in Medellín, the perspective for the day was that of “Christian life as discipleship: vocation and mission,” Francis said. “When Christians commit themselves until the end in the journey following Jesus Christ, becoming true salt, light and leaven in the world, and the fruits are seen abundantly,” he said, explaining that one of these fruits was the children’s home he visited for youth who have lost their families due to violence or poverty. Finally, the Pope drew attention to his visit to Cartagena, where St. Peter Claver lived. The saint, who was referenced in many of Francis’ speeches during the trip, was an “apostle of the slaves,” he said. St. Peter Claver and St. Maria Bernarda Bütler, a missionary in Colombia, “gave their lives for the poor and marginalized, and so revealed the path to true revolution; evangelical, not ideological, which truly frees people and society from the slavery of yesterday and, unfortunately, today,” he said. Pope Francis closed his address by entrusting Colombia to the care and intercession of Our Lady of Chiquinquirá, whose statue he venerated in the cathedral of Bogotá. After his audience, Pope Francis greeted individuals and groups of pilgrims from different countries around the world, including former British Prime Minister Tony Blair, who became Catholic in 2007 and has established several foundations and non-profit organizations based on faith and global advancement. Vatican City, Mar 14, 2018 / 06:18 am (CNA/EWTN News).- At the general audience Wednesday, Pope Francis spoke about the importance of the recitation of the Our Father at Mass, asking if when we pray it, we understand who we are praying to and the relationship we are called to have with him. Vatican City, Jul 5, 2017 / 03:30 pm (CNA/EWTN News).- A Vatican official confirmed yesterday that Bambino Gesu hospital has had past problems that the Vatican has worked to resolve. Cardinal Pietro Parolin, the Vatican Secretary of State, said at a Vatican press conference July 4 that a recently-released report on the hospital from the Associated Press contained some things that were “clearly unfounded” but also highlighted valid issues that the hospital has had in the past. 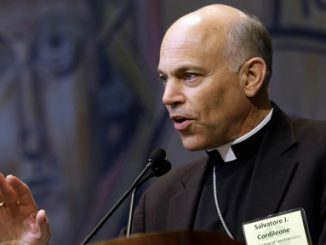 The AP report, which examined the hospital’s operations under its previous 2008-2015 administration, found among other things that the Vatican-owned hospital had shifted its focus from its patients to profits and had some subpar standards of care. “For what regards the problems that were found, there was serious attention and effort to resolve them,” Cardinal Parolin said. In 2014, the Vatican conducted its own report on the hospital after fielding several complaints, and found many of the same things, including a focus on profits and breaches in accepted medical protocols including the reuse of disposable equipment, early awakening from surgery and risk of infection due to overcrowding. The Hospital Bambino Gesù was founded in Rome in 1869 as the first pediatric hospital in Italy. In 1924 it was donated to the Holy See and became the “Pope’s Hospital”. While it receives funding from the Italian government, it does not fall under the jurisdiction of the Italian government’s health authorities. Bambino Gesu fell under scrutiny again in 2016, when the Vatican reported that it was investigating whether former hospital president Giuseppe Profiti had allocated some $200,000 of hospital funds to refurbish the apartment where Cardinal Tarcisio Bertone lives. In September 2016, Pope Francis warned the hospital’s new president and administration not to fall into corruption, which he called “the worst cancer” a hospital could have. At the press conference yesterday, Cardinal Parolin and current hospital president Mariella Enoc also presented the hospital’s annual report for 2016. Among other things, the report highlighted that the hospital had an increase of organ transplants and research projects that have identified 10 new “rare” diseases. 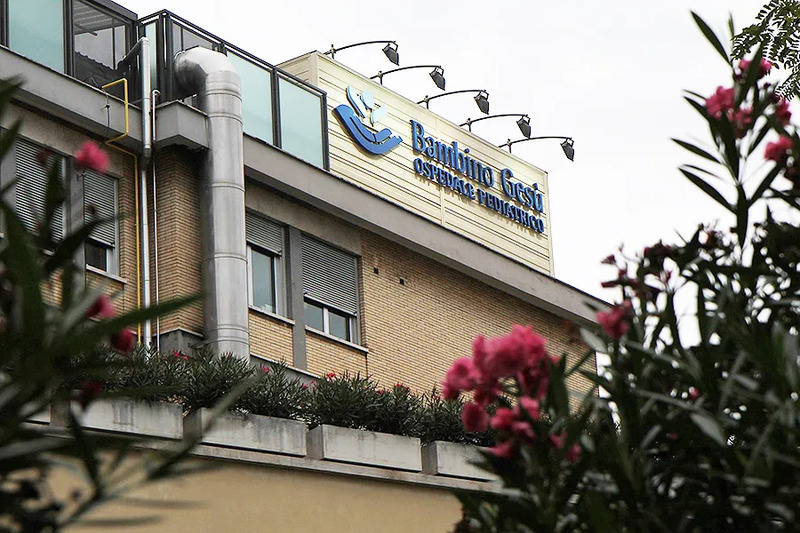 The Hospital Bambino Gesù is the only European pediatric hospital where all types of transplants are performed. In 2016, 339 organ and tissue transplants were performed, a four percent increase from the previous year. In addition, 242 research projects and 423 clinical trials involving 5,300 patients were undertaken in the past year. In all, 750 physicians, biologists and other health professionals have been involved in hospital-driven scientific research projects. Bambino Gesù also reported a reduction in hospital infections from 7.6 percent in 2006 to 1.8 percent in 2016, or 76 percent less in 10 years. Enoc said that while the problems in the AP report occurred before she was in charge, she urged anyone at the hospital who had issues in the future to come forward. “I can say that the climate today is more serene, and I urge everyone when there is a problem … that we talk and talk and not keep it inside and then have it explode,” she said.